The panelSeries component provides a mechanism for dynamically generating a series of repeating child-components within a panel. 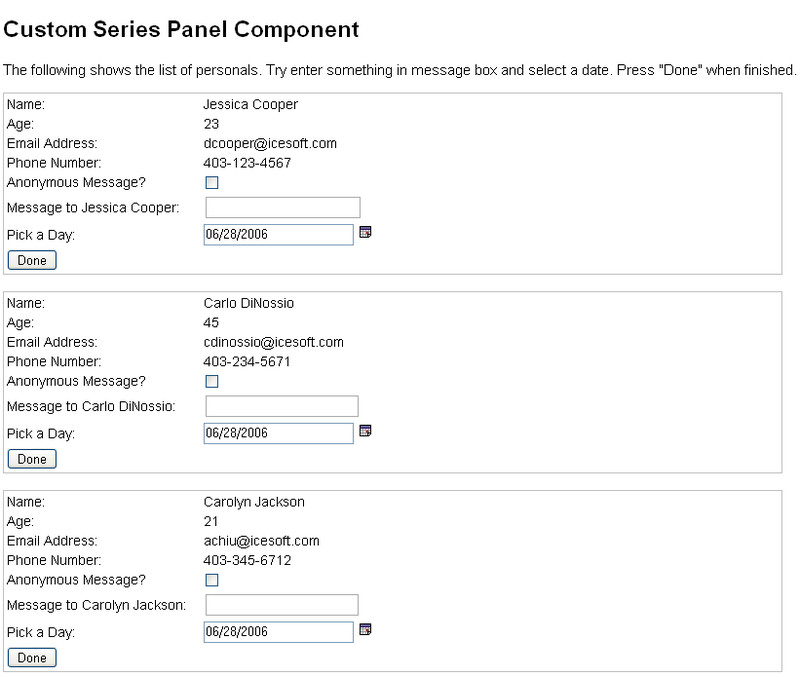 The panelSeries component renders its child components in an iterative fashion similar to way the dataTable component renders data rows. However, the panelSeries component is more flexibile in that it can render a series of arbitrarily complex child components. 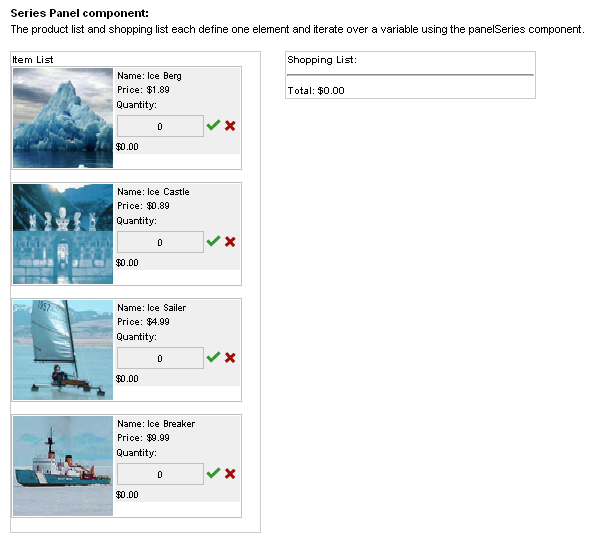 The panelSeries component can be used whre JSP forEach tag might have been used. The panelSeries component can be binded to an array, an instance of java.util.List, an instance of java.sql.ResultSet, an instance of java.servlet.jsp.jstl.sql.Result, or an instance of javax.faces.model.DataModel in the backing bean by specifing value attribute of the component and var attribute represents the name of current item and is used to iterate through the collection of items. Download the panelSeries-basic source code here. 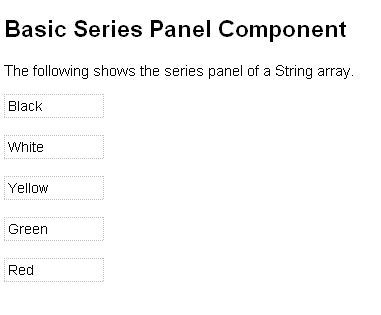 Download the panelSeries-custom source code here. panelSeries-custom panelSeries-custom source code Demonstration of how panelSeries component can be used with other components and custom objects.